“Well, why don’t you bring her to dinner with you next week?” she said. As she put her coffee cup down into the saucer, her wrist twisted suddenly and she nearly dropped it, making a terrible chipping sound. Holding her breath, she ran her hand over the bottom of the cup but found it unharmed. She smiled at Paul and touched her necklace. “Call me by Wednesday to let me know for sure.” Then she decided she’d sit and sip coffee and smile at her son; she was entitled. Paul looked just like his father only better, his shoulders wider, his hair thicker, his teeth larger, his eyes a purer blue. This year, in honor of Thanksgiving, Martha’s second daughter-in-law, Lidia, wore a white jumpsuit, gold belt and shoes, and a great deal of white plastic jewelry. A long bead necklace was wrapped twice and knotted around her neck, bangle bracelets in random widths jangled everywhere, too-heavy earrings sagged the little holes in her lobes. There was a brooch too, some sort of spidery circle with a gold anchor dangling in its center. Unfortunately, the white Thanksgiving jumpsuit was tight everywhere that Lidia wasn’t. Martha breathed deep and smiled anyway, gripping the hot solid hand firmly, glad to be helped up the front stoop even by a woman like this. Well, at least she’s got him going to church again, Martha thought — we’ll just see how long that lasts. Before his and Lidia’s wedding day, Paul hadn’t set foot in a church of any kind for twenty-five years, not since the last day he hung up his altar boy outfit. He’d had a civil ceremony with his first wife. Maybe that was her fault too — hell, everything seemed to be the mother’s fault, these days. Martha should have known from the beginning how this second marriage would turn out. Lidia had no hesitation in her voice. Brassy. From the very beginning, she just blared right out with everything. “Hello, Mom,” she’d say to Martha, her cheeks round and orange with too much makeup, front teeth stretching her upper lip, keeping it from ever completely closing, making the words come out slippery-sounding: too loud, too bright. Not a lisp, but damned close. All she needed was a fluffy tail to snap behind her, Martha thought — it would go right with the rest of her chittering. Not like Neal’s mother, Paul’s first wife, Joanne. Martha sighed, remembering Joanne as she sat down on the too-soft living room sofa, some rattan thing covered with the kind of material she would have expected to see worn by a belly dancer. Why, for all her problems, Joanne had been a lady. Martha had told her son that when he’d brought Joanne home for dinner for the very first time. “This girl’s too good for you,” she had said, right at the table in front of everybody. Damned if her conscience wasn’t clear on that one. Poor Joanne hadn’t known what she was getting into — none of them had. Not that Paul was a monster, just lazy. Almost spineless except when it came to his expensive toys. Those damned boats. Martha couldn’t stand it, but what could she do? Martha smiled. “Thank you, dear,” she said, patting her daughter-in-law’s hand lightly. Martha’s china was Limoges. There was a border of tiny flowers, handpainted pink and green and a broad line of gold around the edges, the coffee and demitasse cups so thin you could see through them when you held them up to the light, like eggshells. Martha had inherited it from her mother and father when she was eight. The accident that killed them had involved electricity. Whether it had been lightning or wiring, she never knew. In any case, she tried to imagine their final moments based on what she knew of electricity from watching movies and reading the encyclopedia. Waking early in the mornings, she would throw off the covers and lie there in the pearly dark, stretching her arms and legs out, stiff, at right angles. She would open her mouth until she heard her jaw pop. Her body would tremble, her lips sting. When she finally let herself go limp it was a relief to be back. Martha was sent away to boarding school the following year; her parents’ money was managed by some cousins of her father’s. During her senior year, she was called in to the headmistress’ office and informed: fiduciary malfeasance. Of course she would receive her degree with the rest of her class. The words “charity case” were never used. Much later, memory and resentment molded the set of her mouth, pinching her lips with sharp lines: by the time she was fifty, no one guessed she had once been smoothly, delicately beautiful, the kind of looker other women couldn’t even bring themselves to dislike, although their first impulse was always to try. Their boys had been five when Lidia and Paul married. It hadn’t bothered Martha at the time that they wanted Lidia’s boy, Eddie, to call her Grandma, too. “Hi Grandma,” said Neal. “Happy Thanksgiving.” He bent and kissed her shyly and she felt a slight prickling fuzz tickle her face with the kiss. He was so white-blonde it wasn’t something she would have noticed from a distance. He was growing up, that was clear. He had a small pimple on his chin. “Grandma, how’s it going?” Eddie said, and he stuck out his hand. She shook it, his hand warm and heavy like Lidia’s. In the end, “fiduciary malfeasance” notwithstanding, young Martha had been able to keep the china and the silver, and her father’s monogrammed, twelve-piece dresser set. There was a little cash left over. She managed to graduate from Boston University by wearing the same dresses all four years and waitressing at Woolworth’s, not precisely what she would have chosen, but good enough for a Massachusetts teaching certificate. She interviewed at high schools all over but ended up teaching back in Brookline, where she had been born. Wanting to keep her figure, she joined the municipal tennis league. They played tournaments once a month. It seemed like a good way to meet people, better than church, which is what the other teachers did. Using God as a dating service was hardly a ticket to heaven. “Can I get you anything, Mom?” Lidia asked her. “Some iced tea or a Coke?” Paul and Lidia were born-again Baptists now: no alcohol, even on holidays. Martha’s ex-husband, Fred Bergen, had been a handsome young man, five years older than Martha. He was well over six feet, blue-eyed and blonde, with smooth Scandinavian skin that turned a dark, clear brown every summer. Martha was dark, eyes and hair, except for her skin, which was thin and light, looking almost transparent in the sun, a raised mole in the inside crook of her elbow the only mark on her. Next to him she looked like a foreigner, but her ancestry was English on both sides. He had gone off to Dartmouth to study Engineering but came home to Brookline to be a gentleman. He was an ace tennis player; she was ready to get married. Her china saw frequent use. The teaching certificate moved into her scarf drawer. They had one child, a boy, named Paul, after her father. The first few years after Paul was born, they lived just outside Concord, on the farm her husband Fred had inherited from his family. The three of them rode through the woods almost every Sunday, Paul on his Shetland pony, the reins tied to the side loop of her saddle. She especially loved the fall woods, the bare trees making everything look so clean. Everything was gray, but there were no real shadows. “Well, hello there!” Paul said, pulling his satin baseball jacket off as he stood in the living room doorway. Throwing it over a chair, he sat down across from her. His smile was broad, his square white teeth perfect. The skin around his eyes wrinkled heavily as he smiled, pulled up into bags thrown into even harsher relief by the lenses of his glasses, something that still surprised her. If her son was getting old, she wondered, what was she? “Hello there, yourself,” she said. She held one arm out to him, summoning. Heaving himself up out of the chair, he bent for a kiss. She smelled shaving lotion and dandruff shampoo; he fumbled at her cheek. She took one of his hands in hers, feeling the hard, dry skin of his fingers, squeezing it twice. Sitting down next to her this time, his breath whooshed out as if he had been holding it. “How’s your father?” she asked. Their divorce had come years ago, when, of course, she was considered too old for it. Separated for a long time already, she nonetheless wanted the formality of the piece of paper. She took her own Social Security, not Fred’s, so it didn’t really change anything in a practical sense. It had been the kind of case the judge laughed at right in court. That irked her more than any of the rest. Family holidays, of course, nothing had to change. Martha had blamed herself the second time the money went. Not as much as she blamed Fred, of course. But she, of all people, should have seen it coming. The gin games at the country club were no surprise, but as for the horse races — she had had no idea. They sold the farm to pay off his gambling debts, land that had been owned by the Bergens for three hundred years. Neither of them had ever lived anywhere but Massachusetts. It was Fred who promoted Florida. He’d heard there were still bargains to be had in Miami. They bought three lots with the money they had left, building an apartment building on the water in Coral Gables. Fred’s tan became year-round. He had started to put on weight, but it came off now that he was busy with the yard work and repairs around the building — five units — wearing swim trunks and sandals, beachcomber style. Martha packed her wool suits away in a trunk under the stairs. They both looked ten years younger, so maybe it was for the best. Paul started first grade, then second, then third. When she found him rummaging through the old trunk full of woolens for a Halloween costume, she realized it was finally time to clean house. She got rid of all that heavy winter clothing, except for one pair of jodhpurs, sort of a souvenir, not having any use for them anymore but afraid she’d be sorry later. 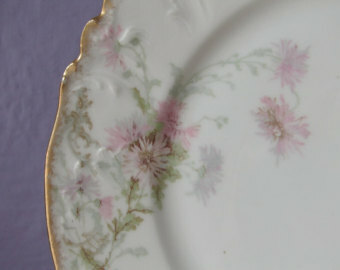 She used the Limoges every Thanksgiving and Christmas, but then the company finally discontinued the old pattern, and she was afraid of ruining the set. Counting the different pieces, she wrote the numbers down on a 3×5 card taped to the inside of the china closet’s door. She’d dust the outside of the closet, telling Paul — someday, when you get married, this will be yours. Okay, he’d say, nodding. Is it all right if I go fishing with Gary this afternoon after school? She’d tell him yes, then watch him run out the door, worrying he’d never know what he had really come from. But had knowing where she, herself, “came from” ever done her any good, she wondered? Fred’s eyes were shot, but it was really the drinking that kept him from behind the wheel: the way his hands shook. When Paul flunked out of the University of Miami his junior year, he had two options: the Coast Guard or Vietnam. It wasn’t really much of a choice. He spent the first eighteen months in Greece, working on Radio Free Europe. His letters home were short. The girls are beautiful here, he wrote. Martha was relieved when he was sent back to the States and stationed in Key West — no Greek wife, and that was fine. Every week or so he’d drive up for dinner. She loosened up a little about the china. What’s the point in having something you don’t use? She would ask herself. She felt relatively safe using it for coffee and dessert since there were fourteen each of the small plates, cups and saucers. She could break two and still have a set of twelve. Paul pressed his lips together and twisted them to one side. “Besides, as long as it’s not in my house, I really don’t care how much he drinks. It’s not my problem anymore.” He shook his head as if trying to convince himself. Lidia came back in, holding a glass of tea in one hand and a magazine in the other. The ice tinkled as she walked. “Mom,” she said, “this is something we’re really proud of.” She handed the magazine to Martha, putting the tea on the coffee table. “It’s on the last page,” she said. Martha smiled, peering at her son over her glasses. He wasn’t a outright gambler, that was true, but in a hundred other ways he was exactly like his father. This fishing obsession: did he really think it was enough? A person she raised from a baby — living his adult life primarily through jerkings and spinnings felt from the end of a pole. “Of course,” Lidia said, leaning over the back of Paul’s chair, her solid brown arms wrapped around his neck and her chin resting lightly on the top of his head. “The boys and I are giving it to him for an early Christmas present.” Paul twisted his head and smiled up at her. The dogs barked again. A cab pulled into the driveway. The noise of the idling engine echoed against the stuccoed concrete block of the house. Fred climbed awkwardly out of the back seat, wearing an old plaid patchwork sport-coat and thin wire-rimmed glasses, his wispy gray hair blowing crazily in the breeze. Martha heard him call toward the open living room windows. Paul looked at Lidia and then back over at Martha, rolling his eyes. “The mincemeat,” he said. “I told him we already had dessert this year. Oh, well.” He got up and went out to help his father. Martha had cooked a leg of lamb in honor of meeting Joanne. Putting real butter out for the mashed potatoes, she even brought out the big serving platter and the covered vegetable dishes from the Limoges. The dessert plates and coffee cups were on the table too, as usual. Joanne was a nice girl, Martha saw that immediately. She wore a green linen suit and matching pumps; her hair was long, just past her shoulders, with square bangs, a white headband holding it back neatly. Her hand was small and cool in Martha’s own as she said hello. “It’s so nice to meet you, Mrs. Bergen,” she said. “No, Limoges,” said Martha. “It belonged to my parents. The pattern is discontinued, you know, so I don’t use it very often. But this is a special occasion.” She looked over at Paul and smiled. She gave Joanne and Paul the Limoges as a wedding gift. Fred puffed his way into the living room, wiping his glasses. His eyes looked small and defenseless, his face flushed even more than usual. “Well, that was a rare event,” he said. “An American cabdriver, white to boot. I asked the guy what he was doing driving a cab.” Shaking his head, he put his glasses back on, then took out a hard rubber comb and swiped at his hair. “He must be a real loser.” He lowered himself into the armchair next to the sofa. She caught a whiff of him: dry, musty. His pants were creased smartly but there was a faded grease stain on the knee. Turning to Martha, he held out his hand to her, which trembled although she knew he strained to hold it firm, and she felt a piercing of loss for him. I suppose in his own way, he pities me too, she thought. She must appear just as sad to him, even without a tremble. “Hello, my dear,” he said, and he kissed her hand, his lips warm and slightly moist. Poor Joanne hadn’t wanted to quit her job at the bank, but Paul insisted after Neal was born. “No son of mine is going to be raised by a babysitter,” he said. Martha felt he had a point — but what good was it if Joanne was miserable at home? She herself had missed teaching, although she’d never seriously considered going back to work until Paul was in high school. But she certainly wasn’t going to come between husband and wife. Her two cents, she kept to herself. Then Paul told her Joanne was having a problem with her drinking. He’d seen enough of that with his own father, he said, to last a lifetime. After he filed for divorce and custody of Neal, she didn’t mention anything to anybody, just decided to reclaim all she had left of her barely-remembered parents. “Oh, that,” he said, moving back out of her way as if he were afraid, and an odd memory of him at two years old flew by her, making her weak, making her want to squeeze him. They hadn’t hugged in years: they weren’t the huggy type, like some. Still, she had some idea what she was missing. “I know where it is,” she said. Joanne would never forgive her, but it couldn’t be helped. She packed the china in the special boxes she’d bought on her way over; Paul carried the boxes to the car for her. Before the divorce was final, she called Joanne to explain. She realized Joanne knew her history, but still, she was ready to apologize — but Joanne hung up on her in the middle of it. Martha hauled herself up, out of the overstuffed sofa. She held her arm out to Fred, still struggling in his armchair like a snail trying to flip its shell. “Let me help you,” she said. “It’s a nice chair, but it’s hell to get out of,” Fred said. His touch was strangely comforting, and she held his hand firmly even after he was up out of the chair. They had the past in common if not the future. At my age, that’s about all you can ask for, she thought. She led Fred into the dining room and they sat down opposite the boys. “What a beautiful turkey!” Martha said. And what an ugly serving platter, she thought. She had given the old Limoges set back to Paul on his and Linda’s fifth anniversary, hoping to see it on the table on holidays, hoping Paul knew what t meant to her. But this platter was a cheap ceramic. I don’t know why I ever imagined Lidia would appreciate my Limoges, she thought. It looks like she picked this piece of junk up for a buck ninety-eight at K-mart — worse yet, at a church rummage sale. You’d think Paul would say something, though. “Yes,” Martha said. She looked around the table. Surely there was something? But it was all the same. Thick peasant pottery — vegetable dishes, gravy boat. It was everywhere. “I suppose it is nice to have a change of scene at the table once in a while.” She unrolled her silverware and placed her napkin in her lap, smoothing it down over her knees. “Yes,” Martha said, nodding, adjusting her plate of mincemeat with two fingers. She turned to Paul expectantly as well. “I’m sorry,” Martha said. What’s wrong with me that I didn’t see this coming? she wondered. C-plus motherhood, is that what I’m left with? “You see what I mean?” he said, winking in Lidia’s direction. “I’ll go get your coffee, Mom,” Lidia said. As she looked in her rear view mirror, driving off, she could see him standing out in the middle of the street, waving to her. Well, what did I expect, anyway? she thought bitterly. A memory pricked her suddenly, making her eyes water, partly from tears gathering but partly from the glare off the road and the way her thoughts shifted her eyes’ focus from the road itself to something impossibly far-off — a forced gaze she found difficult to wrench out of. She idled for a long time at the first stop sign out of sight of Paul and Lidia’s. Years ago — her mother’s hand, stroking her hair, leaning over the edge of the bed in the darkness. A firm touch, though it tickled and made her shiver just a little. For the life of her, though, she couldn’t recall the sound of her mother’s voice. Just one word, she thought. Just one. She waited to hear. A horn sounded behind her and she jumped, startled so brilliantly it hurt to breathe for a moment. “All right, all right, what’s the rush, buddy?” she said, jerking her gaze back to business, blinking as her eyes finally overflowed, fat round drops. But the fabric of her black skirt instantly absorbed the tears, and so, looking down at her lap for confirmation, before she pressed the gas pedal, she saw only the faintest of shadows staining the darkness of the fine wool.